Asia is arguably the most beautiful, exciting, most user friendly Continent on earth. This paradise of Asian travel destinations is real. More than that, it is affordable by most standards. Stay there short term, long term, or make it a great retirement destination. It’s an entire continent that can fulfill your travel or retirement dreams! 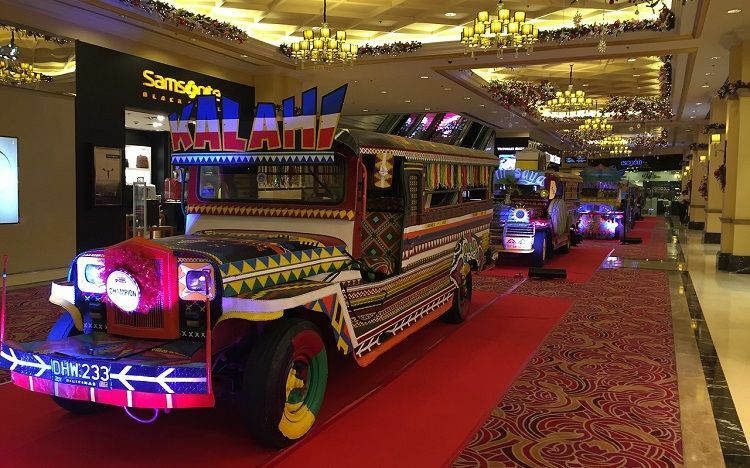 Colorful Jeepneys on display. Catch a ride on one of these when you visit the Philippines. Consider these exciting Asian travel destinations before making your travel plans. Regardless what kind of traveler you are, Asia has it all. 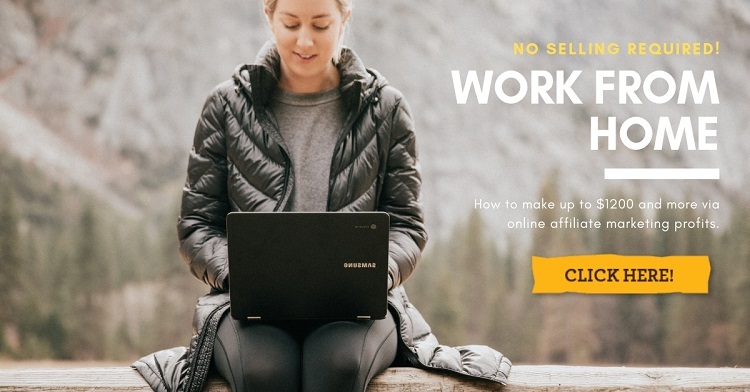 That’s whether you’re a backpacker on a budget or a family looking for the best deals. Likewise it’s even ideal for a single person going it alone. If you’re a couple looking to get away from the daily grind, or a first class – five star traveler, Asia can easily satisfy your needs. See our five top picks in the video above for a great Asian vacation. Like the video the Asian travel destinations, in no particular order, will be Thailand, India, Nepal, Indonesia and the Philippines. Let’s take a look at these five best Asian travel destinations in more detail. See what they offer to the many visitors. It’s often referred to as the most exotic country in Southeast Asia. A visit to the Grand Palace in Bangkok should be on your list for sure. A trip to a floating market or to the Bridge over the River Kwai is another must visit. See the pristine beaches in the Southern Islands to the Northern Mountains with its beautiful waterfalls. A heavily overcast day in Bangkok Thailand. Those mountains also hosts elephants bathing in mountain streams, and Hill Tribe villages. They are all part of this beautiful country. It’s blessed with a tropical climate, fascinating culture and superb beaches. 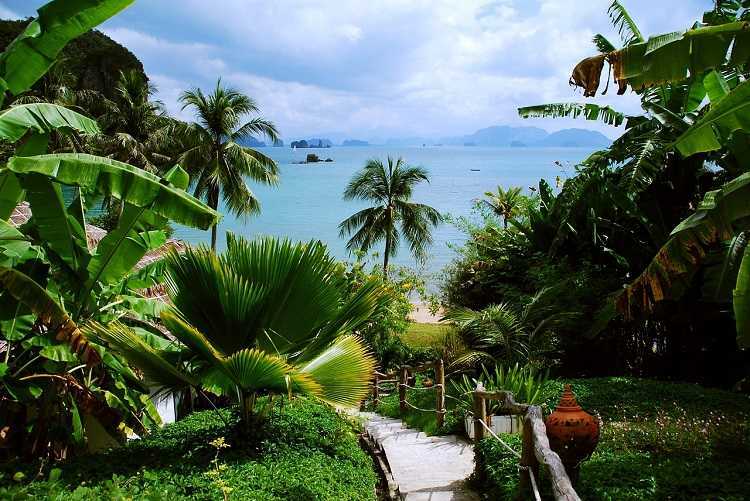 Plus the food is great, Thailand is the most visited country in Southeast Asia. Bangkok is the capital and most populous city in Thailand. As a result of heavy population it has heavy traffic congestion and high-rise buildings. The intense heat and nightlife don’t immediately give you a good feeling. But there is another side of the city. That’s the beautiful palaces, temples and authentic canals. Visit the busy markets you’ll find there. And if you like the evenings, then a vibrant nightlife awaits you. Bangkok has something for everyone. 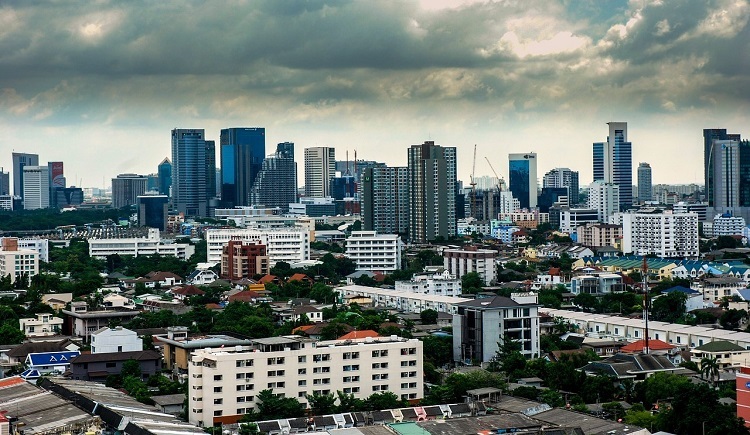 Over the years Bangkok has become a national treasure. It functions as Thailand’s spiritual, cultural, political, educational, commercial and diplomatic center. India – The 7th largest country in the world by area, and the 2nd most populous country with over a billion people. It’s also the largest democracy on Earth and is one of the Asian travel destinations that should be on your bucket list. India is a very diverse country. There are vast differences in geography, climate, language, culture and ethnicity. Delhi, the 2nd largest city, is one of the oldest continually inhabited cities in the world. Delhi is the National Capital Territory of Delhi. It is one of India’s largest cities, and the core of one of the largest metropolitan areas in the world. Over 21 million people live there. Within India it is a major center of arts, commerce, education and tourism. It has been the capital of several empires over the last 2000 years. 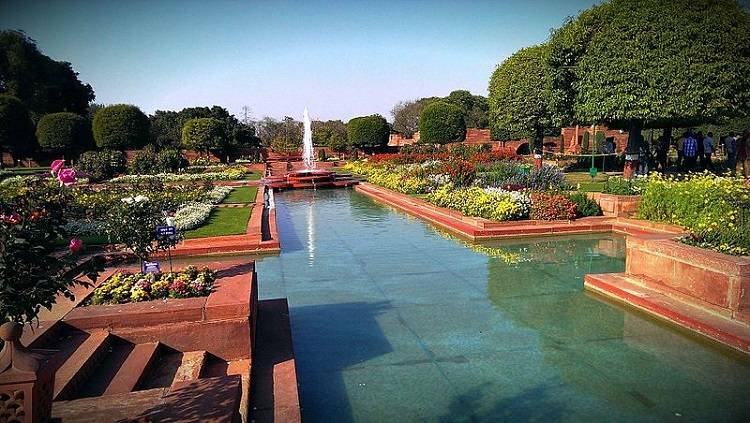 Delhi has a lot of well-preserved historic sites for the tourist to visit. If you have none or little travel experience of visiting huge developing megacities you will find Delhi to be crowded and chaotic plus much of the year polluted. In late spring and early summer the city is scorching hot. However, there is a bit of order beneath all the chaos. India’s traditional and modern cultural richness is flourishing alongside the seemingly disorder. First-time visitors feeling the culture shock should avoid visiting during adverse weather conditions. Make sure to get a decent hotel room so you can stay in comfort between your sightseeing trips. First-time visitors are often confused about the relationship between Delhi and New Delhi. New Delhi, which is the capital of India, is one of the districts of Delhi city. New Delhi began to be built in 1911. It features wide boulevards, large parks, and roundabouts between its government buildings. Popular sights there are the India Gate, the Rajpath “national mall” connecting the main government buildings, and the Rashtrapati Bhavan (presidential palace). Many of the most important museums in Delhi are located there too. India Gate, an imposing structure, has emerged as one of the most popular tourist spots in Delhi. The Red Fort Delhi, a masterpiece of architecture, is a popular spot for tourists. 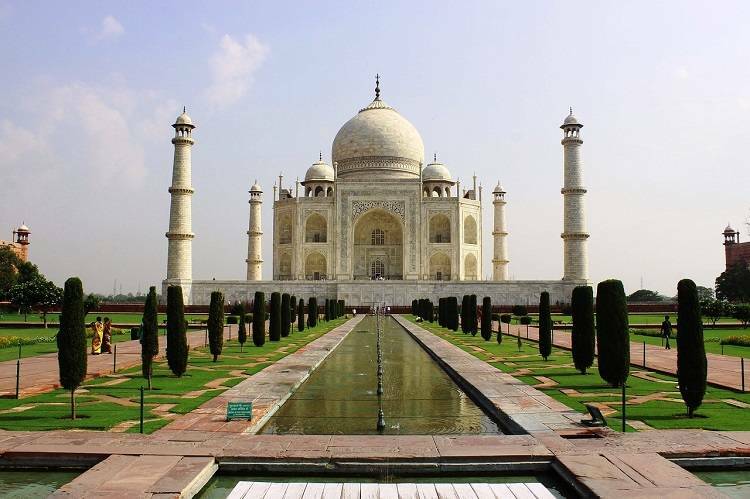 A trip to India would not be complete without a visit to Agra. It’s famous as the site of one of the world’s most romantic, graceful and photographed buildings, the Taj Mahal. It’s one of the Seven Wonders of the World. A country with diverse geography, including fertile plains, subalpine forested hills, and eight of the world’s ten tallest mountains, including Mount Everest. 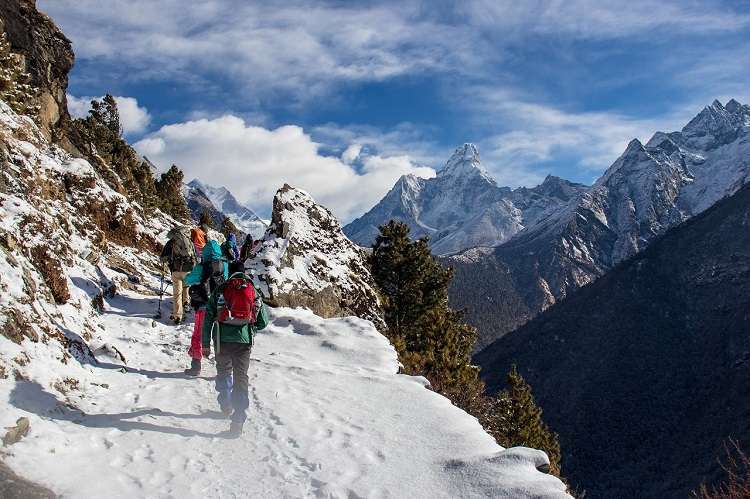 If you want adventure, trekking, birding, wildlife, and cultural and overland Safaris, Nepal is a great place to go. Take an air flight along the Himalayas and view magnificent Mount Everest. 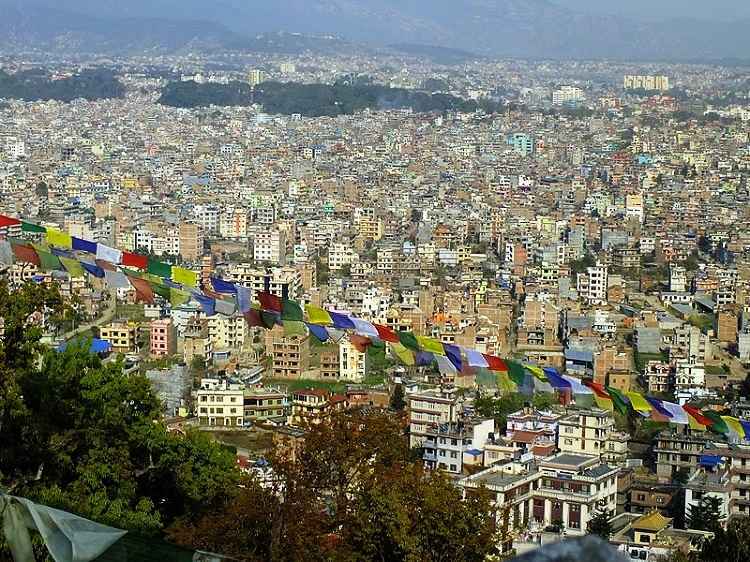 Visit Kathmandu the largest city and capital of Nepal. It was once thought to be the fabled and impossible to find Shangri-La. Kathmandu is a fast growing city catering to a wide range of holiday types and budgets. Nearby, discover the serene beauty of Tibet, the country which inspired the Dalai Lama. It is often said that for the traveler that has seen it all and done it all, there is still Kathmandu, Nepal. The Big Durian is a a nickname for Jakartaan. It is the equivalent to New York’s Big Apple. It’s a concrete jungle, and a traffic frenzy. Jakarta is the capital city of the world’s fourth most-populous nation. It’s one of the most bustling, cosmopolitan cities in Asia. The J-Town has cheerful nightlife, vibrant shopping malls, a variety of foods, and refreshing greenery. There is cultural diversity and a rich history behind the city. Jakarta caters to all levels of budget and how much fun you want to have. Bali, Indonesia’s main tourist destination has seen a large rise in tourists since the 80s. In March 2017, TripAdvisor named Bali as the world’s top destination in its Traveler’s Choice award. The “Island of the Gods” which it is sometimes called, offers great beaches, lots of waves for surfing and beautiful natural sites to visit and explore. It has colorful ceremonies, and gifted artists. Since it is so popular there is an unbelievably wide range of hotels, resorts and villas, restaurants and bars. There are plenty of spas and world-class activities. Shopping in Bali is not far away and has very fair prices. Bali is known to allow travelers to enjoy and afford the wonder of the island, regardless of their budget. Pick basic stay at home accommodations run by friendly Balinese families, or 5-Star beach resorts. Alternatively stay at luxurious or privately-serviced Bali villas with your own private pool. 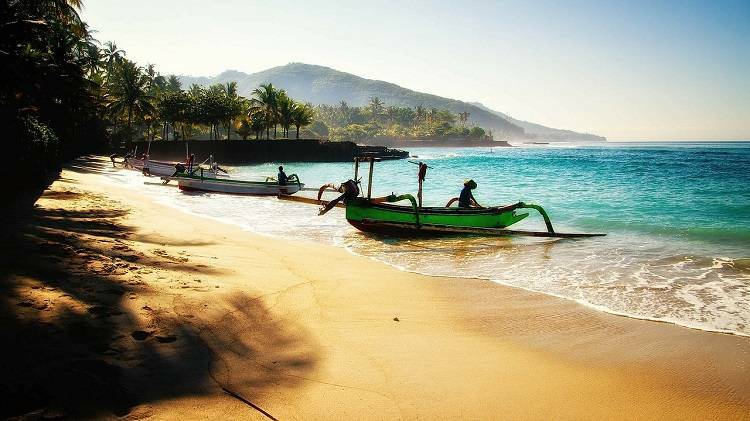 Bali’s diverse landscape consists of mountainous terrain, rugged coastlines and sandy beaches. It is a most beautiful place. It has lush rice terraces and barren volcanic hillsides. All this provides a picturesque background to its colorful, spiritual and unique culture. The cultural landscape of the Bali province has been inscribed on the UNESCO World Heritage list. It is one of the most popular island destinations in the world. Bali offers something for almost every visitor from the backpacking youth to the ultra-wealthy. 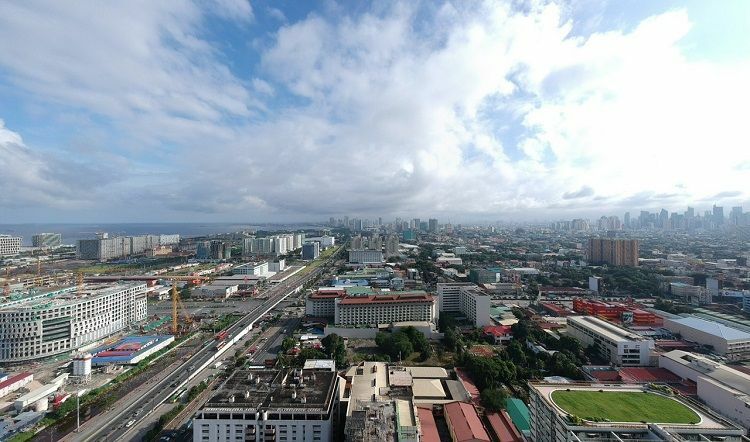 A panoramic view of Manila, the capital of the Philippines. 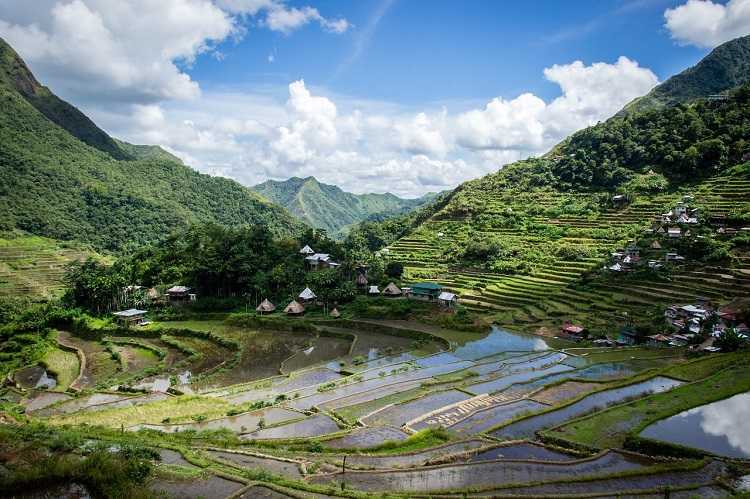 Philippines – It’s an island nation comprising over 7,100 islands in the western Pacific Ocean. The Philippines has a diverse culture. There is a unique blend of local customs, Chinese traditions of saving face, superstition and respect to elders. Some of the main tourist attractions are its beaches, mountains, rainforests, islands and diving spots. Manila, the 2nd largest city, is a bustling capital with powerful reminders of the country’s past. There are attractive parks, fine museums, and exhilarating nightlife in the city. The people in the Philippines are very friendly. Take a ride in a colorful jeepney to the market or one of the other attractions. The country has fantastic beaches and landscapes, and a vibrant and diverse culture. Manila is a major attraction in itself in terms of culture and heritage of the country. It is, however, congested and polluted. But don’t let that stop you from exploring the city. Its churches, diverse and complicated culture and colonial history make it a one-of-a-kind country. There are gigantic malls, bustling markets, hidden architectural gems and a vibrant nightlife. Explore Manila and make your own personal connection with the city by doing so. Many people there have a good grasp of English. Food and accommodations are cheap. It could take years to visit and experience everything the Philippines has to offer. The Philippines is also a favorite retirement destination for foreigners due to its warm climate all year round, beaches and low cost of living. The many islands and waves and years of immigration combined to make for considerable cultural diversity. There are more than a hundred distinct ethnic groups and a mixture of foreign influences within the country. It’s an amazing fusion of culture and arts all combining to enhance the wonder that is the Philippines. It has a tropical climate with constantly high humidity and high temperatures. So prepare to change clothes frequently under the sweltering heat. Mountainous areas are the exception to the norm. There it is rather temperate with mildly cool temperatures during the cool dry season from November to March. There are lots of places to visit and things to do. Here are just a few attractions and activities to consider. 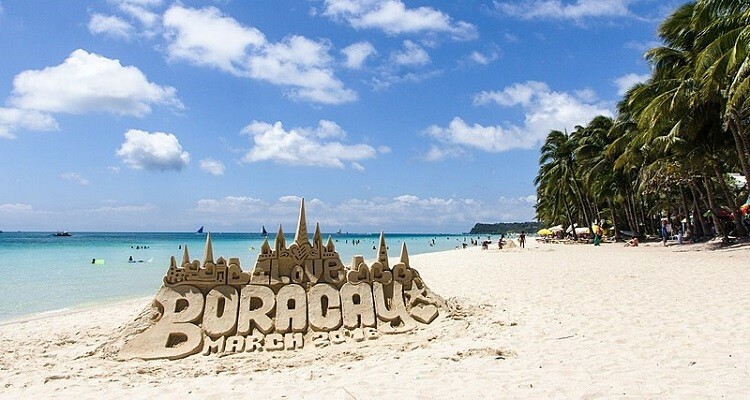 Beaches and islands: Boracay, Coron Island, Palawan, Bohol, Mactan Island in Cebu. Mountain ranges, dense jungles, rice terraces, scenic lakes, picturesque waterfalls and hidden caves. Mountains for hikers and adventure seekers – Mount Apo, Mount Pinatubo and many more. Sports: Aerial Sports, Golf, Trekking, Whitewater rafting, Scuba diving. Other activities: Casinos, Festivals, Rock climbing, Mountain biking, Sea kayaking. Here’s a tip from me. I visited the Philippines in January. The weather was picture perfect. Warm, not hot, no real rain, only a couple of light sprinkles and low humidity. It reminded me of much of the nice weather back home in Southern California. We think that once you visit the Philippines and enjoy the country and the people you’ll want to return.